Corrie signed the electronic device he held, smiled a smile that didn’t reached her eyes and thanked the courier before she turned and shut the door. Christ! Jumpy or what! she admonished herself. The envelope held a contract from the management company that booked all her speaking engagements. This one was for the upcoming year. Her books on intuition, tarot and other new age topics kept her busy on the spiritual speaking circuit. The Crone had worked hard to achieve the level of respect for her skills and wisdom but she decided that when her dream cottage here at Lake Cowichan was finally built, she would scale back her appearances and focus more on doing personal readings instead. A sort of semi-retirement. I’ll look at this contract later she thought and went back to her coffee, now cooling on the kitchen table. Later that afternoon, while outside watering her own fledgling garden beds, Corrie’s neighbour Jack Fortin phoned and left a message on her answering machine asking if she would mind going over and water the hanging baskets on his deck. Jack was a retired lawyer from Vancouver and judging by his “Better Homes and Garden” estate that resided through a short path connecting the two properties, his career had obviously been a successful one. Gathering up her watering can, the Crone padded through the shaded tree lined path emerging into sun again at Jack’s property line. His estate had better beach access than hers with a dock big enough to host a party if so desired. Got to get me ones of those before the grandkids came for a visit this summer she thought, admiring the dock. 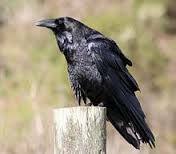 Swooping down into her view and landing on one the decks pylons, the Raven cawed at her once again. Getting the chore Jack requested done as quickly as possible, Corrie briskly walked back through the path only to come to a full stop midway. Something is not right she thought. There is an ominous energy here. It was the same feeling she had when she held that bracelet the Raven left on her deck. The Crone was highly attuned to energy, emotions, and other peoples feelings. She was an Intuitive Empath, she had learned long ago to never disregard her gut feelings. Her gut right now was telling her to get back to the safety of her cottage. The Crone had only known Jack for a couple of months, he thought she was weird enough as it was so she wasn’t sure how to reply. ” It’s been an interesting sort of day for me that’s all”, she replied. ” I’ll tell you all about it when you get back. When are you getting back by the way?” She thought she might feel more comfortable once her neighbour returned. “Yes, fine, just my spidey senses tingling”, she laughed. “I’ll see you then. On Thursday afternoon, once again deep in thought, the Crone sat in her study analyzing the contract that was delivered several days before. It seemed the management team was trying to sneak in a few more speaking engagements than what was originally agreed upon. “Jesus!”, the Crone jumped. Someone was at her deck door. The smell definitely grew stronger as they approached the path. The trees in this area grew right down to the side of the lake and hung over the waters edge. Bashing through the underbrush, Jack and Corrie came to the waters edge just below the Raven. The bird never moved. “Oh my God!” Corrie turned her faced into her neighbours chest. The shiver down her spine ended with what felt like a bolder being dropped into the pit of her stomach. The Crone’s intuition confirmed what her logic also sensed. A body laying under the bush at the waters edge was that of Amber Carmichel, the missing 20 year old from Duncan. He knew, she thought, he was just trying to tell me. 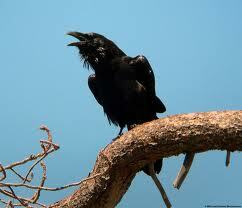 She looked up once more to the branch that had held the Raven to mentally thank him, but he was gone. This is a real story, isn’t it? While Lake Cowichan is a real place situated on Vancouver Island, B.C. Canada, I can assure you the story and it’s characters are a complete work of fiction. I hope you enjoyed it. The feeling of dread was there as to what happens next and I was on tenterhooks. I will be looking forward to more stories from you.